Happy Monday! Hope you had a wonderful weekend. What a better way to start the week then with a blog post? Today’s post I’ll be talking about the I♥Makeup Eyeshadow Palette in Black Velvet. This isn’t a brand new palette but it’s to me. 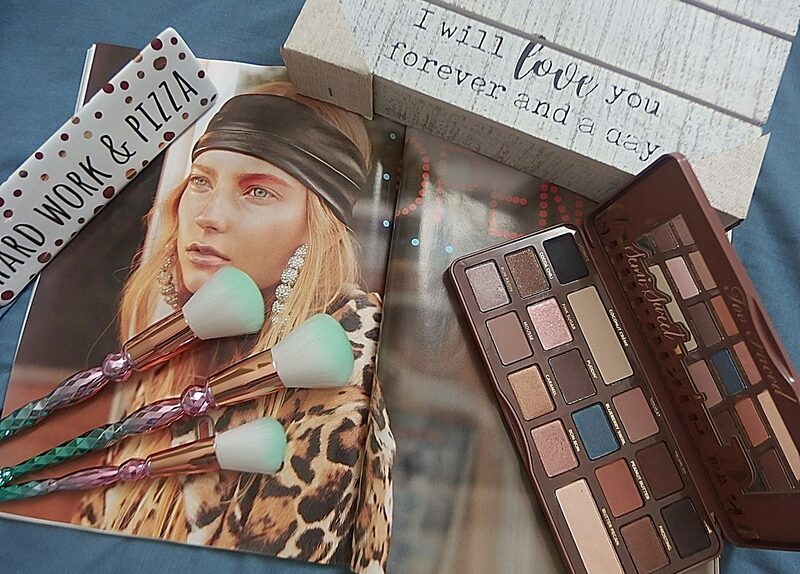 I talked briefly about this palette in my old UK Beauty Haul post a while ago so I’m excited to share my two cents. This palette houses a selection of 16 eyeshadows including 3 shimmers and 13 beautiful matte shades. I really like the shiny black heart for the extra glam it gives to the packaging. The velvety material feels nice to touch and this packaging is really luxe. I can’t get over with the cute packaging yet. As I mentioned before in my previous blog, I appreciate brands that named each and every one of their eyeshadows. It makes life so much easier especially for beauty blogger like me. Can we just admire the full mirror that comes with this palette. Just look how big it is. These eyeshadows are highly pigmented and easy to use. It has a beautiful color selection from light to mid-toned crease shade and black. Although there are only three shimmer shades they still offer a nice range; a champagne (Long), a bronze (Feel) and a gun metal (Cry) shade. You can wear them natural for everyday look to a dramatic smoky eye for evening wear. The choices are endless. It tends to blend out easier than most powder shadows do. It’s long wearing and won’t crease on you. This palette is so affordable and it’s a great one to go for if you want to test some cool-toned and warm-toned matte eyeshadows all in the same palette. I see myself reaching out for this palette and do a different eye looks with them. A closed up look of the color swatch I picked up directly from the pan. Out of these eyeshadows my favorite from this palette is going to be all the shades from row #3 which is a warmer toned! I really enjoy playing with this palette and would recommend to any matte shadow wearers. It’s not a bad palette at all and totally deserve more hypes and raves. Let me know if you’ve been wearing colored eyeshadows. I’d love to know what your favorite shades and palettes are. I’m always on the lookout for something new to try! Thank you guys for always reading, please comment and subscribe. I hope you guys enjoyed reading my opinion and how this product works for me. I love the colors in this pallete. I usually go for gold or brown colors to stay semi-neutral but I love the brighter tones here. Such a pretty palette! Thank you. Glad to hear you enjoyed this post!